“Number seven,” he said to the agent beside him”. These were the words uttered by Parviz Dastmalchi, a survivor of and witness to an assassination that shook Europe and the continent’s relations with the Islamic Republic of Iran. Parviz was asked by the German police in Meckenheim to identify suspects in a shooting that had taken place two months earlier at a Berlin restaurant whose name, Mykonos, became synonymous with the Iranian leadership’s campaign of assassinations across Europe. On the night of September 17, 1992, armed men stormed into the Mykonos restaurant in Berlin and assassinated four guests who were members of an Iranian Kurdish opposition group, including Sadegh Sharafkandi, the group’s leader. The bold operation, at the time a great success for Tehran in inching closer to the elimination of its key opponents outside the country, unmasked the façade that was known as the emerging “moderate” Iran. 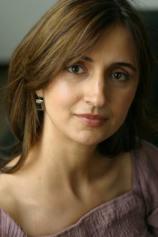 Roya Hakakian is the Iranian-American poet/journalist and author of the book “Assassins of the Turquoise Palace”, in which she puts on display the Mykonos affair. The affair led to the subsequent arrest and prosecution of suspects by German prosecutors, whose tireless and fearless efforts culminated in the trial of suspects and indictment of Iran’s top leadership. 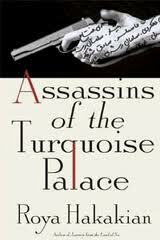 “Assassins of the Turquoise Palace” is remarkable from a number of perspectives. First and foremost, it reads like a riveting international thriller that keeps the reader glued to its pages irrespective of the reader’s knowledge of Iranian affairs. But what makes it all more interesting is the fact that it is a non-fiction work in which all characters and events are real with no depiction of imaginary scenes by the author. The book reads like a Scheherazade story in which the author, chapter by chapter, manages to keep her readers captivated as events surrounding the murder become more intriguing and the sophistication of perpetrators exposed along the way. Another striking aspect of the book is the widespread use of similes and metaphors that are capable of communicating the emotional and psychological contexts in which events unfold. Hakakian’s success does not lie only in offering an enjoyable read. For anyone interested in international affairs, she brings to the fore a highly significant case as “it [Mykonos] was the first time since World War II that a German court would consider the crimes of a foreign government”. Central to Hakakian’s efforts in the illustration of events is the unyielding character of the chief prosecutor, Bruno Jost, and his firm determination to ensure the independence of his country’s legal system against all odds, in particular the increasing trade ties between Iran and Germany in the 1990s. Despite many threats, pressure from German officials, and relentless procrastination by the defense team in preventing the court from reaching a verdict, Jost pursued the case. For Bruno Jost “to yield to the [German] chancellery and the foreign ministry struck the chief federal prosecutor as a violation of the independence of his office”. Nearly four years of perseverance by Jost and his team–who were aided by Parviz Dastmalchi and Shohreh Dehkordi, widow of one of the murdered guests at Mykonos–culminated in the indictment of Iran’s top leadership including former president Hashemi Rafsanjani and the Supreme Leader, Ayatollah Khamenei. The court also issued an arrest warrant for Ali Fallahian, Iran’s minister of intelligence at the time. For the Iranian Diaspora, notorious for their disunity, the verdict was a massive victory; a victory against a government that was brought to power by their very own efforts and sacrifices in a revolution that changed Middle East’s geopolitical map. As Hakakian puts it “they [Iranian dissidents] were disenchanted citizens, paid by no one, seeking neither fame nor glory, hoping to rid themselves of their tyrants. Politics, as they knew, was nothing but penance”. Following the verdict, the German government, and subsequently those of other European nations, recalled their ambassadors from Tehran. The Mykonos case essentially brought an end to the wave of assassination of Iranian dissidents outside the country. The publication of “Assassins of the Turquoise Palace” comes at a time of heightened tensions between the West and Iran over the latter’s suspected nuclear program and its gross violation of human rights at home with the possibility of military confrontation looming large. Named by the New York Times among the notable 100 books of 2011, “Assassins of the Turquoise Palace” offers a unique account of the sorry state of Iranian affairs. Scheherazade, with her stories over 1001 nights, managed to change the mind and the character of her murderous king, while the Iranian leadership has yet to demonstrate its tolerance of dissent after nearly 33 years in power.